Simplified Employee Pension (SEP) plans are a type of tax-deferred retirement savings plan for the self-employed and small business owners. With a simplified employee pension plan, a business can make tax-free contributions to an individual retirement account for each of their employees. SEPs are funded solely by the employer using tax-deductible dollars. Unlike other retirement plans, SEP plans do not offer Roth or post-tax contributions. Employers can contribute up to 25% of each employee's annual compensation. Self-employed persons can contribute up to 20% of their net self-employment earnings towards their own account. Contributions are limited to a maximum dollar amount of $52,000 per plan participant for the year 2014. SEP refers to a formal, written retirement plan adopted by the employer. The IRS has a model SEP plan that you can adopt (Form 5305-SEP). Financial institutions may have their own model plans. SEP IRA refers to the IRA accounts set up for each plan participant. An employer adopts a SEP and then contributes funds to each participant's SEP IRA. SEP contributions boost deductions, thereby lowering taxable income. Lowering taxable income results in a lower tax calculation. Thus SEP contributions can be utilized to lower taxes. SEP contributions for self-employed persons are deducted as an adjustment to income. Adjustments to income lower adjusted gross income (AGI). Lowering AGI impacts several AGI-sensitive deductions and tax calculations. If you need to lower your AGI to qualify for a particular tax break, SEP contributions can help you do that. SEP IRA is funded using pre-tax dollars. The question naturally arises, just how much will a SEP contribution reduce taxes? And more importantly, which taxes do SEP contributions reduce? For a self-employed person contributing to his or her own SEP IRA, contributions are deducted as an adjustment to income on Form 1040 line 28. SEP contributions reduce a person's adjusted gross income, reduce taxable income, and thereby reduce the federal income tax. SEP IRAs do not impact the calculation of the self-employment tax, since the self-employment tax is calculated before SEP contributions are calculated. A self-employed person reduces income tax only by contributing to his or her own SEP IRA. A self-employed person who contributes to SEP IRAs for his or her employees boosts business expenses. This lowers net profit, reducing both the self-employment tax and the income tax. Corporations contributing SEP IRAs for its employees boosts business expenses. This lowers net profit, thereby lowering the income tax. Additionally, SEP IRA contributions are exempt from Social Security and Medicare taxes (FICA). Thus an owner-employee does not pay Social Security and Medicare tax on the SEP contributions. What this chart means is that self-employed persons can reduce their federal income tax, but not their self-employment tax (for Social Security and Medicare), by contributing savings to a SEP IRA. Entrepreneurs running their business as a corporation, by contrast, avoid federal income tax, Social Security tax and Medicare tax on their SEP contributions. Indirectly, SEP contributions can reduce other taxes that are calculated based on adjusted gross income or taxable income. This includes the alternative minimum tax and the 3.8% net investment income tax. Because SEP contributions reduce a person's adjusted gross income (AGI), SEP contributions interact with calculations that are based on AGI. Like other retirement savings plans, investment income generated on funds inside of a SEP IRA is tax-deferred. That means the interest, dividends, and capital gains earned inside the SEP IRA are not included in a person's annual tax return. Instead, tax is imposed only when money is distributed from the SEP-IRA. Tax deferral allows investment income to be re-invested without first paying tax on the earnings. This tax-deferred compounding can result in building up a larger account balance over time. Tax deferral also enables a person to move income and corresponding tax liability to some point in the future. By moving income to a future year, a person can control their level of income by deciding when and how much to distribute from the SEP IRA. By controlling the amount of income, a person can more accurately control the amount of tax. Ideally, we'd like to deduct contributions when a person is in a relatively high tax bracket and take distributions in the future when a person is in a lower tax bracket. SEP plans can be adopted and funded up to the due date of the tax return, plus any extensions. This is one of the core advantages of a SEP.
What this means is that self-employed persons filing a Schedule C can set up a SEP and contribute funds to a SEP IRA as late as April 15th, 2015 (without an extension), or October 15, 2015 (with an extension), and have the contributions deducted on their 2014 tax return. Consider this all-too-frequent scenario: Clare, a self-employed jewelry designer filing a Schedule C, is finishing up her 2014 tax return in September 2015. She filed an extension before April 15th, and so the due date of her return is October 15, 2015. She asks if there's anything she can do to boost her deductions so she can lower her tax liability. Yes, Clare could open a SEP IRA. As long as the SEP plan is adopted and the funds are contributed to her SEP-IRA by October 15th, 2015, she can deduct her contributions on her 2014 tax return. Funding a SEP IRA is thus a way for self-employed persons to boost their deductions for last year by spending money this year. 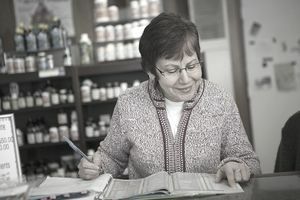 By contrast, Clare could fund a solo 401(k) or other retirement plans for small businesses only if she had already adopted the plan in the previous tax year. It's this combination of being able to adopt a plan and fund the plan after the close of the tax year that makes SEP IRAs appealing. For business owners and self-employed persons who don't already have a retirement plan, being able to adopt a SEP plan by the due date of the return means they can set up a SEP plan this year and have the plan be effective for last year. Being able to fund the SEP IRA by the due date of the return, taxpayers can base their decisions on contribution amounts once all the tax impacts are fully known. Another way to take advantage of the funding due date is by spreading out contributions over a longer period of time. This helps the business budget their retirement savings. Funds can be contributed for a specific tax year beginning on January 1 of that year and ending as late as October 15 of the following year. That's a period that spans 21 months and 15 days. The employer sets a percentage of compensation to be used when calculating how much to contribute to each participant's SEP IRA. The percentage of compensation can range from a low of 0% to a high of 25%. The percentage used must be the same for all plan participants. This percentage can be changed each year, giving the business flexibility in budgeting for retirement benefits based on financial conditions for the year. Business owners may want to contribute more money when financial conditions are good and less money when financial conditions have taken a downturn; this can be easily accomplished in a SEP plan. Once contributions are made to each participant's SEP IRA, the funds can be managed just like any other individual retirement account. The account holder can decide how to invest the funds, rollover the funds to another IRA, or even take a distribution from the SEP IRA. Distributions from a SEP IRA are taxable, and may be subject to a 10% surtax on early distributions. Self-employed persons open a SEP IRA with a financial institution of their choice. They can invest their SEP IRA as they see fit. For businesses with employees, the business contributes funds to each employee's SEP-IRA. Each employee is fully vested in the contributions. Employees decide which investments are suitable for their SEP IRA. SEP IRAs can also be converted and rolled over into Roth IRA. Being able to roll over SEP IRAs means that participants are always in full control over where their money is parked and how the money is invested. Plan participants may contribute savings to their Traditional IRA or Roth IRA, in addition to participating in a SEP IRA. Be aware that participating in a SEP IRA means that the person is covered by a retirement plan at work. This can impact how much can be deducted to a Traditional IRA. How much of a Traditional IRA contribution is deductible depends on a person's modified AGI for the year. Be aware that eligibility for Roth IRAs is also based on modified AGI for the year. Remember, self-employed persons can lower their AGI by funding a SEP IRA. Thus it may be possible to lower AGI enough to be eligible for Roth IRAs or deductible Traditional IRAs. Self-employed persons can potentially contribute to a Traditional IRA and/or Roth IRA and/or SEP IRA for the year. This provides flexibility when deciding on how much to contribute to each type of retirement plan. If a person contributes more than the allowed amount to a SEP IRA, the excess amount can be carried over and deducted in the subsequent tax year. However, the excess contribution may be subject to the 10% excise tax for over-contributing to a retirement plan. It's easy enough to avoid over-contributions by performing SEP IRA calculations prior to making any final contributions designated for the tax year. There's a maximum dollar limit of $53,000 per participant for the year 2015. How the contribution amount is calculated depends on whether the plan participant is an employee or is self-employed. For employees, the calculation is simple. Multiply the contribution rate (up to 25%) by the annual compensation paid to each employee, subject to the maximum dollar limitation. The employer does not need to report the amount of SEP contributions on each employee's Form W-2. However, the employer will need to check the box on Form W-2 box 13 to indicate the employee was covered by a retirement plan. For self-employed persons (including partners in a partnership), calculating the contribution amount requires measuring compensation and adjusting the contribution rate. First, we'll need to measure the self-employed person's compensation for the year. This is measured by the person's net earnings from self-employment. To calculate this yourself, use the Deduction Worksheet for Self-Employed found in chapter 5 of Publication 560. See the Rate Worksheet for Self-Employed in chapter 5 of Publication 560. In other words, if a Schedule C filer sets up a SEP IRA with a 25% contribution rate for all participants, the amount that the self-employed person can contribute for his or her employees is 25% of each employee's compensation for the year. And the amount the self-employed person can contribute to his or her own SEP IRA is 20% (that is, 0.25 ÷ 1.25 = 0.20). For other conversion amounts, see the Rate Table for Self-Employed in chapter 5 of Publication 560. For a self-employed person, we multiply net earnings from self-employment by the equivalent self-employed contribution rate. Net earnings from self-employment, however, depend on the calculation of the self-employment tax and the deductible part of the self-employment tax. Let's put this math together in an example. In this example, Clare could contribute up to $18,587 to her own SEP-IRA based on her $100,000 of net profit on her Schedule C. She could contribute less, if she wanted. Notice this amount is not 25% of her Schedule C, nor is it even 20% of her Schedule C.
To calculate SEP IRA contribution amounts yourself, use the Deduction Worksheet for Self-Employed found in chapter 5 of Publication 560. Read over chapter 2 of Publication 560. The IRS has done a very good job of explaining simplified employee pension plans. Read the model SEP plan (Form 5305-SEP) or similar model plans offered by the financial institution of your choice. If your business has employees, evaluate which employees must be covered by the SEP plan (detailed in Publication 560). Review what disclosures must be made to employees (also detailed in Publication 560). Understand how much you can potentially contribute to a SEP IRA. Understand how contributions will be deducted on the tax return, and how it impacts your tax calculations. Compare the SEP against other small business retirements plans such as 401(k) and SIMPLE plans. Research financial institutions that administer SEP IRA plans. Review the financial institution's paperwork, costs, and investment options. Consult with a tax professional for help in comparing the impacts of each type of plan.